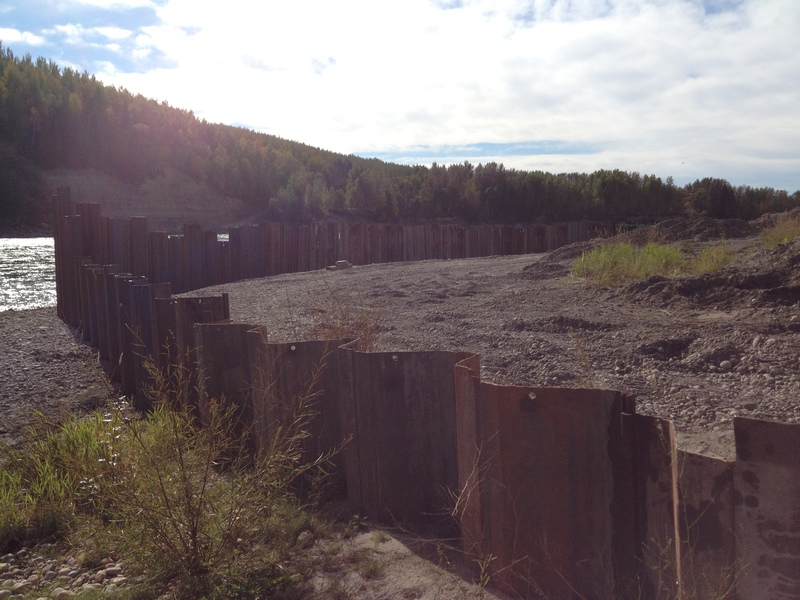 The Penn West Lobstick Cardium Water Intake System is located on the North Saskatchewan River in Brazeau County, approximately 15 kilometers outside of Drayton Valley. Penn West was experiencing low infiltration rates at their water intake system due to build-ups in the intake system’s piping and at the intake piping slotted perforations. Sameng was retained to re-establish the original system capacity and utilize the full draw volumes licensed to Penn West at the location. Tender period & construction period engineering services. 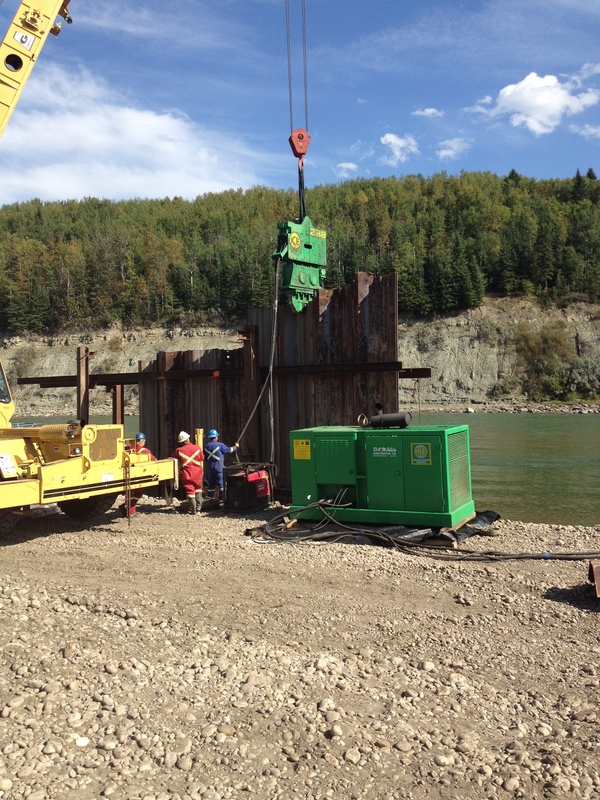 After evaluations of the existing infrastructure was completed via pump testing and river water elevation data analysis, the recommendation was to rehabilitate the existing system under existing Alberta Environment licenses. Navigable Waters Protection Act, DFO, Water Act and Tourism and Provincial Parks Act. Bid documents and construction specifications were created for contractor bidding and procurement. 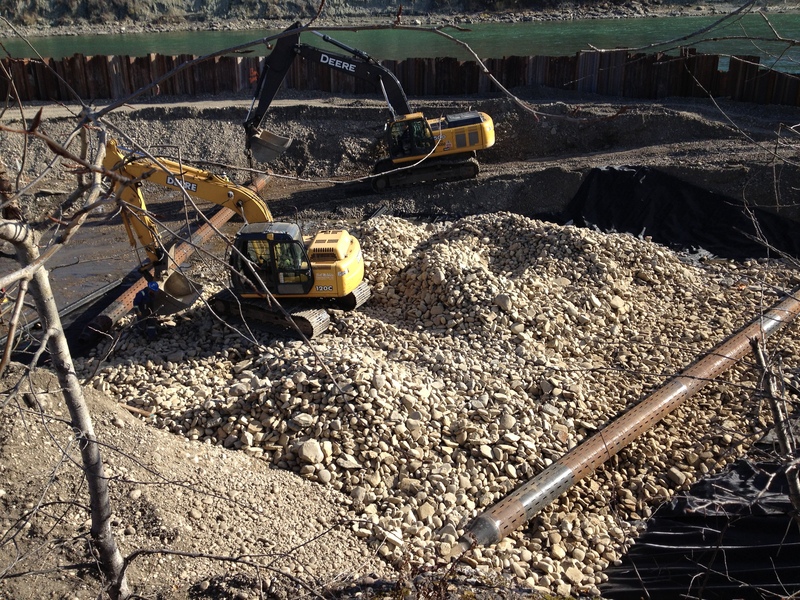 Remaining pipe sections per excavation limitations were ‘reamed’ out to re-establish original design inner diameters. Following the reaming, pipe sections were re-lined with plastic piping to reinforce pipe sections and lower pipe friction levels. Additionally, construction period engineering services were performed, including on-site construction engineering and management. Lastly, post-construction engineering services, including as-built drawing preparation and payment finalization recommendations were performed by Sameng.